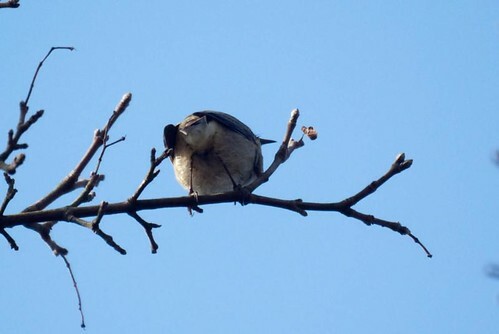 We were out cycling and enjoying the spring sunshine when we came across this tiny mystery bird high up in the trees. 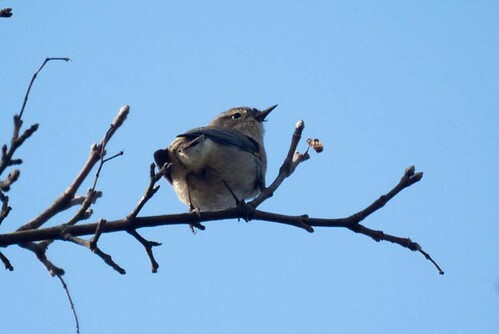 It was flittering about from branch to branch and singing away restlessly. 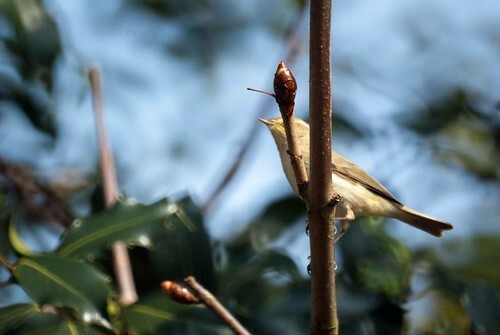 Did that sound like chiff chaff chiff chaff…..? 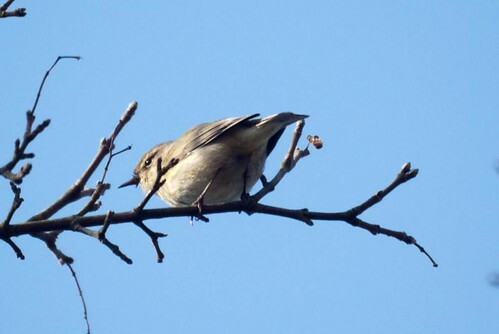 I was looking at my first warbler for the year – a Chiffchaff. 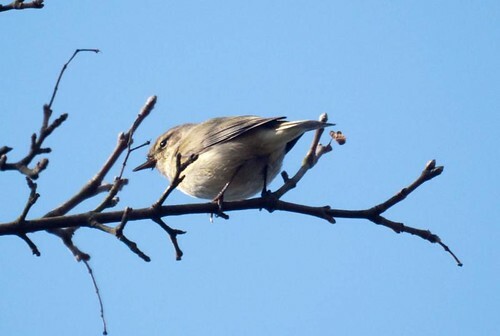 Willow warblers look notoriously similar to Chiffchaffs, but the experts point out that the legs are paler in colour. It is also more yellow, has longer wings and has no eye ring. However the most distinctive character is the different call. 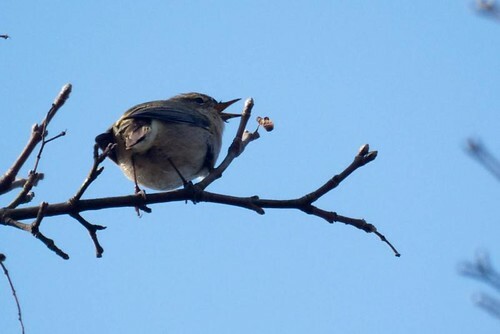 For a moment the bird flew down to within a few feet from us and I thought I could get a good shot for my gallery, but unfortunately this branch was in the way! oh well, I`m sure I`ll be seeing more of them over the coming months.